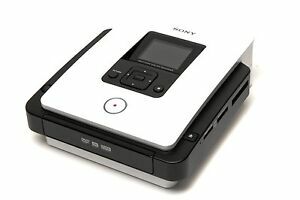 Sony VRDMC5 DVDirect Multi-Function DVD Recorder (VRD-MC5) 30 DAYS WARRANTY!! Copy digital photos or record videos directly from the camcorder to the Sony DVDirect MC5 without the intervention of a PC. This VRDMC5 DVD Recorder creates two kinds of DVDs in standard definition and high-definition AVCHD formats. The audio video inputs on this Sony DVD recorder let you connect it with a VCR, DVR and camcorder. Memory slots on the Sony DVDirect MC5 allow direct recording of digital images onto a DVD. You can clearly preview videos, digital pictures, as well as the menu on the 2.5-inch color screen of this VRDMC5 DVD Recorder. Compatible with a wide range of media formats like DVD+R, DVD+R Dual Layer Video DVD, DVD+RW, DVD-R, etc., this Sony DVD recorder creates Video DVD, Photo DVD, and AVCHD Discs. Sony made an excellent DVD recorder too bad they discontinued it but if you can get a used one you will be please with it very good quality and all the features you will need and the menus are nice and easy to use. Excellent piece of equipment to create movies from a Sony camcorder. 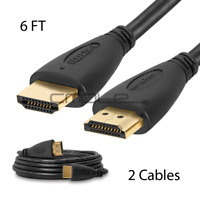 You must have the proper cable that fit your video camera. The SD slots are used only to create picture slide shows. They will not read movie data. 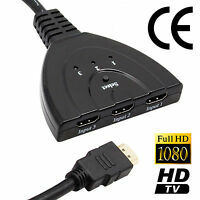 Must stream data from camera to DVD recorder via cables or USB. I Still think this is a great product. You can use your home computer to do the same thing, but that requires a lot of converting files. You can also download Sony Play Memories Software onto your computer or laptop, and make movies from your camcorder. I find the DVD Recorder to be my first choice. I had a great deal of trouble understanding what it required to operate. i found only the DVD-R works for me. all documentation tends to steer you to try what works. That is strange. the image quality is good, not great. but it does transfer from Hi 8 to DVD. Easy to set up and use. Works great. I hate it when companies discontinue great products. I guess online streaming killed DVD production. I use both USB and DV in options to transfer very good quality videos from my old Digital 8 camcorder. I also used the A/V (yellow, red, white) cables to my satisfaction.